The National Disability Insurance Scheme (NDIS) is a scheme jointly funded by the Australian and State Governments. It is a new way for people to get disability support that takes an individualised approach to providing care and support over a person’s lifetime. This means rather than providing support based on the number of places available in a program, people are funded based on their individual support needs, goals and aspirations. We are a registered provider of services with the NDIA and can support you to develop an individually tailored plan to help you achieve your goals. Help to identify vocational potential and suitability. On the job training and support including employer advice. 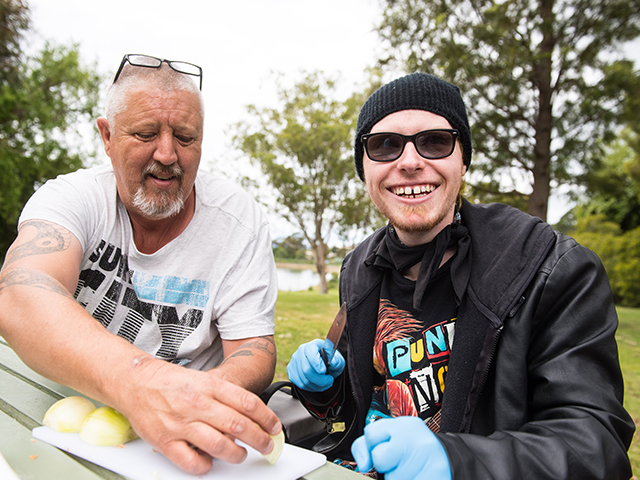 Specialised supported employment in an Australian Disability Enterprise. Group based training/skills development in daily personal activities. Life and personal skills development. Numeracy, literacy, money/financial management skills development. Computer and other technology recommendation, set up and training. The first stage of the scheme was trialed from July 2013 in four locations across the country. By 1 July 2019, the NDIS will be available to all eligible Tasmanians under the age of 65. The National Disability Insurance Agency (NDIA) assist people transitioning into the scheme, provide information and referral services. There has been a gradual intake to ensure that everyone is properly supported and receives the right services for their individual needs. The NDIS is available to Tasmanians with a disability who meet the NDIS requirements. Rules for eligibility have been developed and can be found here. Tasmanian Gateway services may refer you or you can contact the NDIA directly. Have a look at the NDIS Access Checklist to get more information and watch the NDIS Pathway video below. People with a disability currently receiving a service don’t need to do anything right now. The current support arrangements will continue and transition to the scheme. The NDIA will contact individuals to discuss ongoing support needs when they are scheduled to enter the scheme and are working with the local government to ensure a smooth transition. If you need help with your plan, call us for a chat. Coordination of Support services are available through our sister provider, Possability. This symbol is you. When you are eligible for NDIS support, you are called a participant. If you would like to know more about how we can work with you and your NDIS plan, give us a call or send us a message and hear from someone in our friendly team.